I believe you are directionally correct with your definition of Product Cost Management until “publicized system . . . which ensures the product, meets its profit (or cost) target on the day that it launches to the customer.” I see Product Cost Management as being more general in scope in that its focus includes new product, established and future cost management of company’s port filo. Typically, new product launches to customers are more expensive initially than after maturity. Purchased material, manufacturing cost, and associate fixed cost have not reached the volume and productivity improvements that are associated with more mature products. The phase-in, phase-out cost, and new product introduction have greater discounting that erode margins unless it has high customer anticipation like Apple’s iPod and its series of smart phones. With products that have established track record of reliability, it costs more to motivate the customer move to the new products designed to replace old technologies. Various markets techniques typically employed to remove old technologies from customers’ inventory by giving away margin with trade-in discounting and other incentives. 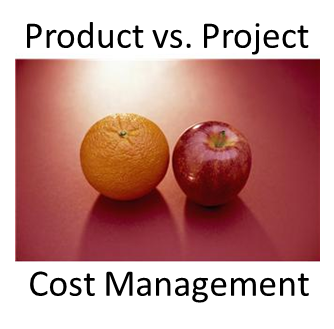 It raises the question of how an enterprise defines Product Cost Management within its responsibility structure. Does the enterprise restrictively defined PCM within the structure of its Supply Chain, or more broadly inclusive of R&D and Marketing, or Cost Accounting? The more complex the enterprise, the role and responsibilities of Product Cost Management become more compact. Is the company leadership controlling orientation focus on the Accounting and Finance arm, or technological arm? 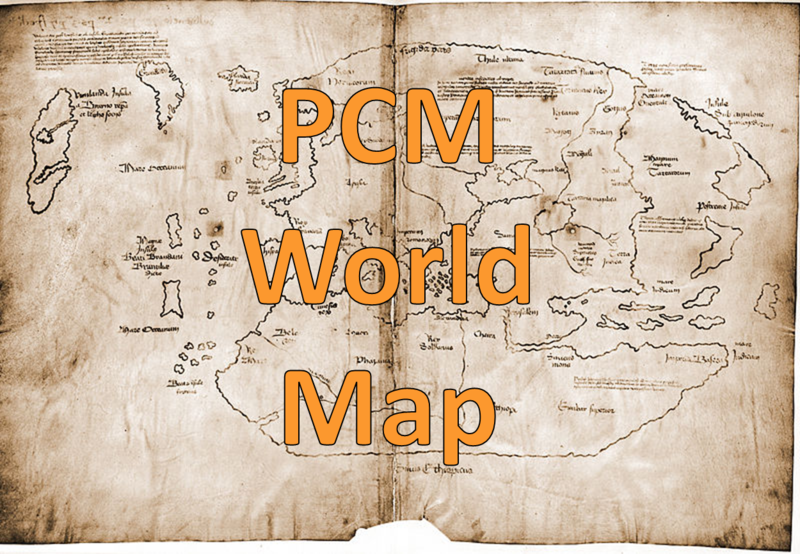 Its management orientation impacts where PCM will reside within the organization. The first part of your comment is interesting in your focus on transient product costs (mfg scale-up, launch costs, etc.) that eventually stabilize. These are just accounting considerations, depending on WHEN you measure the product cost. My beef is not with the transient costs finally becoming steady state, but people trying to Cost Reduce the product by re-routing, re-sourcing, and re-designing after launch. The scale up, etc will happen naturally. So,I agree with you, but I wonder how to capture that thought succinctly. Product Cost Management – An agreed, coherent, and publicized system of culture/goals, processes, people, and tools following the product lifecycle, that ensures the product meets its AVERAGE LIFETIME profit (or cost) target on the day that it launches to the customer. Will people understand what is meant by “Average Lifetime”? Is there a clearer way to embody this idea? 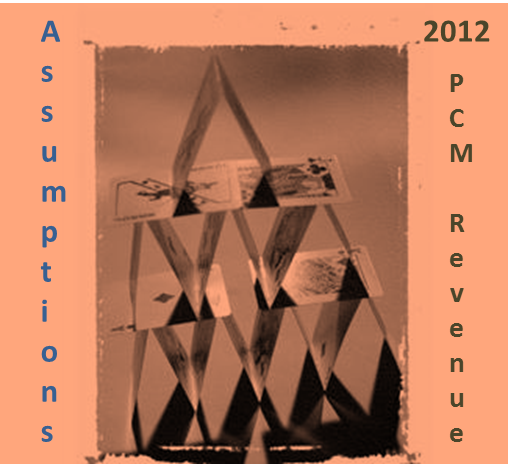 Yes, I think that you bring up another dimension of PCM, which is WHAT “cost” are we talking about controlling? My definition assumed that the reader understood what is contained within product cost. Thank you for the idea for another post! Eric and Ron, I think that product cost management should be set up as holistic as possible, meaning that procurement, R&D finance and others need to be involved. I personally think that responsibility has to lie with the technical functions as they are the ones to define the cost during product design. @ Sascha – 100% agree (both on the holistic nature, but also on technical folks having the impact). Hopefully, I make that clearer in my next post following this on. Thanks Eric for your feedback. 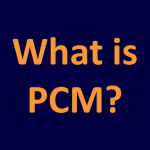 As Sascha indicated in his comment, Product Cost Management is a para phase for a very, all-encompassing process that is highly depend on corporate, business enterprise structure and size and product port-folio generalization appears to be in order for this PCM. You chart does well to visualize the complexity of Product Cost Management. Like practitioners of accounting, engineering, law, medicine and so forth creating a fit-all definition is impractical although attempting to define it does add more to understand what is meant by Product Cost Management. CAM-I also has published works on related subjects like activity-based cost management and the closed loop. Charlie, great to hear from your again after our phone conversation and to see you in this conversation. As luck would have it, I have one of the CAM-I books on my desk, but just have not had time to read it yet, so hopefully, I will learn many things from it to enrich my understanding of the Product Cost Management and Target Costing fields. From my skim of the book and from the diagram that you referenced, it seems like there may be a lot of similarities between PCM and TC. What do you think the differentiations are? It sounds like TC comes at the problem from more of a traditional accounting / Activity Based Costing viewpoint, maybe? Maybe it is just a nomenclature thing, and we are both talking about the same set of activities. Whenever I have heard people in companies talking about “Target Costing,” they seem to be talking about how they set a target upfront and maybe measuring against that target later, but not necessarily the specific activities to generate cost savings after launch or avoid cost before launch. Are they using the term incorrectly? Not sure there is any difference. Target Costing identifies cost estimating as a key process. Cost estimating methods (analogy, parametric, activity-based, actuals) can vary along the lifecycle. Often several methods are used simultaneously. Specific activities to save or avoid costs often come from complementary disciplines such as Value Engineering, Lean, Six Sigma, Kaizen, DFM, etc. It starts with the Customer. how come you do not have a Cost Estimator / Cost Engineer in your list ? RON FERRO • Norman Miller, the companies that I worked for in their business units use more generic names such as product engineer, engineer, product specialist, etc. I have seen Cost Estimator / Cost Engineer title with construction and aerospace type enterprises. Product costing was a collaborative effort between Product Development Engineering, R&D and Cost Accounting functions. Well, Ron does list “Product Costing Analyst.” Isn’t that just another name for Cost Estimator / Cost Engineer? from your reply it is obvious that you do not know the true function of a Cost Engineer. The forms of Cost Estimation and Cost Engineering and Cost Accountancy are very different in where and how their functions are applied in the chain. A Cost Estimator is generally involved in the quotation stage of of a project and provides estimated costs of manufacturing the product to the sales department for the product to be supplied. He is also usually involved when the product requirements change, ie New material or additional components needed or costing design changes. A Cost Engineer can be linked to design teams, purchasing or sometimes Controlling but his duties are generally different to the ones described above. He can be responsible for identifying individual components for potential ways to reduce costs of manufacture by considering new materials, manufacturing processes, assembly procedures etc. and the job canb involve physical hands on teardowns of compeditors products for Benchmarking. He can also be used to provide advance costings for the manufacturing costs for a new product where few real details are available for the estimator to work with. He also gets to visit supplier manufacturing sites to see how the products supplied are being made which a cost accountant will never do and very rarely will a cost estimator do that, generally because the cost estimator is working for a supplier supplying a particular product or service, a OEM manufacturer like Mercedes has thousands of suppliers supplying different products and services and a good cost engineer needs to have a broader knowledge of the different manufacturing techniques etc and materials used by different market sectors. He can be used to review existing practices and products, support purchasing technically with suppliers, deal with tooling and assembly equipment etc. A Product cost analyst is just that an Analyst, he can analyse something that exists but that is not an estimators job and a Cost engineer is more than just an anaylst. To try and answer Ron’s last comment, I work in the Automotive industry and have done Cost Estimation and now work as a Cost Engineer at Mercedes in Germany, while some of my duties are very similar to the cost estimator some are totally different but naturally it also depends on which industry is involved. Well, perhaps this is a US versus German thing. My impression from experience is that the Germans take the Cost field much more seriously than the US, in general. I agree that a Cost ACCOUNTANT is very different than a Cost ENGINEER, and I mostly concur with your descriptions. The distinction with an Cost ESTIMATOR is a bit more fuzzy, in that I have seen the same person do both in the US. I have seen the term Product Cost ANALYST used for any of these functions. I am unclear on the distinction you are making between the Analyst and the Accountant, if they both analyze what has already happened? There are other terms like “VA/VE Engineer” or “Cost Management” that also seem to be used interchangeably for Cost Engineer. I guess we just don’t have tight canonical definitions in the US… nor is Cost Management in general a nearly big enough field in the US. your comment about the cost side of things is generally speaking correct between the use of these functions in the US and Europe. The Cost Accountant is normally a commercially trained person with litte or no technical knowledge whatsoever, they tend to review statistics coming from the manufacturing dept like how many parts were produced at what material cost etc. and they monitor these figures while the parts are in actual production for deviation etc. The cost analyst is usually a technical guy but may be used in a variety of fields including valuation of IT systems etc and generally works in Controlling / Finance but he is not an accountant, he gives his figures to the accountancy dept. The Cost Estimator / Cost Engineer is in some companies a bit of a hazy area but generally a supplier working in a particular market sector, for example a manufacturer producing metal castings will have a cost estimator to estimate the costs involved of making the castings to the customers requirements and the estimator will normally have a specialised knowledge of the metal casting industry but probably no experience of plastic molding or electronic PCB production or assembly line procedures of a paint line. The cost enginer will have a broader base of general manufacturing knowledge covering a wider spectrum of products and manufacturering procedures etc. I started with plastics in fuel systems then to interior lighting products also involving metals, then to costing a complete production line move from one country to another and now I am currently doing advanced costing for high tech electronic items covering steering, sensors and body controllers etc. but also visit suppliers, assist purchasing with technical support in negotiations with suppliers etc. discuss possible production methods with the designers etc. so the job is extremely varied. VA. VE Value add and Value engineering are terms which cover some but not all of a cost engineers job. I know of a major company opening a cost engineering section where they are looking for 25 cost engineers and other companies that are also starting to advise for CE people, on the other hand I know some major corporations where they do not have one Cost Engineer in the system anywhere. I hope that explantion has helped clear up some of the fuzzy bits! Yes, that is helpful. Defining the role of each of these folks would actually be a great idea for another blog post. I’ll see what I can do to make that happen in the future. RON FERRO • Norman Miller’s enquiry does did rise to question for Cost Engineer Forum what is a Cost Estimator / Cost Engineer career or job description. Does Cost Accounting function fall into this area of expertise; or are these industrial specific job titles? RON FERRO • Norman Miller, from what you indicated it is apparent to me that the position of Cost Engineer / Cost Estimator is industry defined. In my roles in the Cost Accounting and Product Costing functions, I fulfilled those aspects that you indicate separate the two functions. The critical path that separates the two is that perhaps in your world this function works independent of the supply chain or has loose connections in terms of going to approved vendors/suppliers and determination of same components existing elsewhere in the materials master file to avoid duplication, and other considerations too numerous to list herein. From my association with Cost Analysts and Cost Estimators in the automotive industry, cost analysts function appeared to be one of checking bills of materials for duplication and missing cost; not involved in the initial costing phase of new product. As I alluded in my comment, the complexity of the enterprise dictates the division of labor and defined roles and responsibilities. Less complete organism require that the parts wherein wear more hats than more complex ones. General contractors, engineering and design companies, automotive industry and construction, perhaps even certain utilities subdivide and separate the cost estimation and costing accounting functions as demanded by their complexity and need for specialization. Cost analyst do not develop drawings of define the interworking or interrelationship of components, selection of raw materials, define combining of materials to be molded, and so. All these details and nuances of the product development predefined by engineering, and based on their input cost analyst extrapolate associated cost and incremental cost as the product moves through the production process. Engineering unlike costing takes greater skill and different, more scientific training and knowledge; again being dependent on the industry and enterprise complexity. Someone who estimates the cost of adding rooms in a building is different that the scientist or engineer who developed or invented glass, although defined similarly as engineers. I find your definition an insult to all the cost engineers who happen to be responsible for reviewing what a design engineer has designed to see if it can be made more efficiently from a manufacturing standpoint, use of alternative material, other production method, in fact, even manufacturing ability, I have had so called design engineers who have designed components that could not be manufactured. Just as a small sideline, quite a few of my recommendations have been incorporated into previous employers production processes and I have one design ( invention ) which was patented by a previous employer and a qualified Cost engineer, who has nothing to do with Cost accounting, ( that’s Bean counter territory) needs a damned good understanding not only about how components are designed but how they are to be manufactured and assembled, not forgetting the handling devices that may be necessary to move the parts around and the packing being used, etc etc. Most design engineers know a lot about the component they are designing but they don’t always know much about the processes involved after the design stage, a cost engineer needs a much broader knowledge about more things. By the way a person who invents something is called an INVENTOR, not an engineer. Are you familiar with the Dyson vacumn cleaner, the one without a bag. The guy who invented it, Sir James Dyson, was a Art School Design graduate, not an engineer but it hasn’t stopped him earning a couple of billion dollars a year for his invention. From your comments and as your job title is Cost Controller, it is obvious you work in the accountancy department and not in engineering, I would guess you are a typical number cruncing bean counter. RON FERRO • Norman Miller, I see by your outrage that you missed the point, or my communication writing skills are bad. Did I not indicate that it takes a higher level of education to come from an engineering background than a financial one? If I did not make that clear, then I do not know what I had communicated to you; or do you have a personal issue with accounting, non-engineering types sharing the same venue of costing engineering? You are too funny, I must say. I agree that not all inventors are engineers; nor are all engineers inventors. 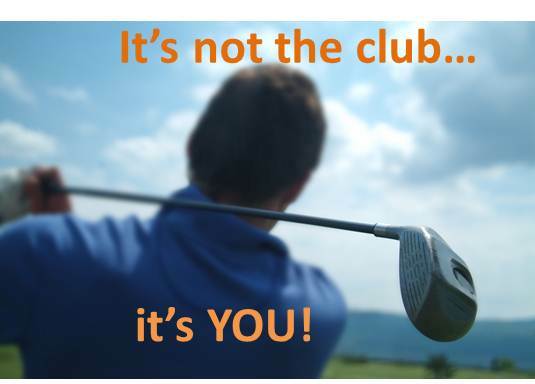 Likewise not all surgeons develop surgical procedures or train other surgeons – what is your point? Lighten up and take a valium! My work background included logistics / mechanical / electrical / avionics / weapons / aerospace engineering. My BS is in Industrial Engineering from SIU. My MS is in Systems Management from USC. My job titles included: Logistics Engineer; Cost Engineer; Systems Engineer; Cost Manager; Estimator; Risk Manager; Program Development Engineer/Manager; Proposal Systems Engineer; etc. I worked in Integrated Logistics Support, Finance, Program Development, and System Development departments. Companies include: E-Systems; Raytheon; L-3; Rockwell Collins; Booz Allen Hamilton; Qualis. RON FERRO • Correct Norman Miller, my background in Financial not engineering based. However, I do read and can draw blue prints (construction, electrical and manufacturing) although did follow engineering career path. Just one of those skills developed as needed, and worked with research, product development and engineering as financial support. It appears that the dialog that started about what is Product Cost Management moved into another direction of what qualifies one as a Cost Estimator or Cost Engineer. Is engineering or other applied science degree prerequisite? Does the employer have the right to set its own titles and qualifications? As far as who qualifies as an inventor, a carpenter invented and built out of wood one of man accurate timepieces, and invented a navigation device what scientists would not accept as valid invention although it became the standard navigation instrument for sailing vessels of its time (1400 – 1800’s?). So what does education or background or career choice has to do with the ability to invent or made discoveries or being a Cost Engineer? So what is Product Cost Management, to go get back on the original question? One point I find issue with the definition is it’s only based on product launch and not product lifecycle (from acquisition to end of production). I can see this paradigm if you are only focusing from a corporate level like project management. So this doesn’t take into consideration the major cost drivers of everyone that inherits it from cradle-to-grave, which good PCM activities actually do. It’s called Product Cost Management, so therefore it should be from the time of acquisition to the end of production lifecycle. At the point of SOP, all that was performed was spending a project budget and utilizing resources. So you haven’t recovered or managed any costs; you only spent them. Hey Norm…Grüß. Its been a while. sorry that I seemed a bit outraged over your post, I think it was a question of (mis ? )interpreting your comment where it appeared that you considered somebody who has to cost extra rooms in a building was of a lower standard than somebody who invented glass. For instance, a builder who adds a couple of rooms to a residential property made of wooden studs and panelling I would tend to agree but imagine somebody building a 50 storey building and the owner comes and says, what would it cost to add a couple of extra rooms to the penthouse !! That would be a complex issue for a cost estimator / engineer to price. I tend to agree with Scott’s viewpoint, until a acquired project actually starts production all that has happened is that a certain sum of money has been spent, either internally or externally at supplier level but nothing has been earned up to this point. However, as a product goes through its production run, certain changes are bound to occur which also need to be tracked ( commonly known as Change Management ) and costs will change over the years, either in material and/or production costs. These costs will be noticed by the financial / Controlling dept. and possibly sent to the cost engineer / estimator for attention and review but not always. Sometimes they are simply recorded without the cost changes being notified to other depts. When I worked at Hella as a Cost Estimator, we used to automatically review all new products after 3 months and 12 months following SOP to see how our estimations actually turned out in real production using the then known figures supplied by Controlling. Hi ! like you said it’s been awhile… Schöne Grüße aus Germany!! Welcome to the conversation. Maybe I need to rephrase my definition, because I am not trying to say that only costs up to launch matter. I am trying to say that if you have a “Fully Burdened” cost at launch (Piece part + future warranty allowance + development charge + future disposal etc.) SHOULD meet your profit margin the day you launch. As you note, your price will only get worse and worse over time. In addition, every hour spent on cost reduction after launch is at best 1/10th as effective as every hour spent on “avoidance” before launch. I’m also not speaking of when you spend vs. recoup the expenses. That is an accounting issue, but the time value of money would also make every dollar you make later on the product worth less than every dollar you earn at start of SOP. I’m not saying the PROGRAM should be profitable during the first year of production, but that you should be meet your profit target on a per piece level on the day you reach reasonable volume. If not, the per piece profit will only get worse and worse later, right? By the way, I’m working on a book on Product Cost Management. Would anyone on this discussion like to do an interview over the phone to contribution your opinions to the research on the book? Why not try using Replicon’s simple to use cloud based project time and cost software?